Long story short—Do your research. Ask questions. Always have your tile installer review your selections before purchasing! 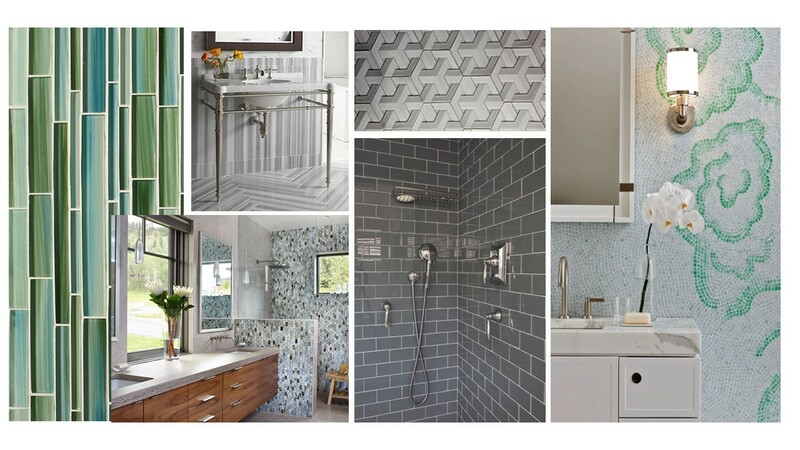 Tile has come a long way this past decade. The patterns and color combinations are endless. Pricing is also endless…. Tile can range from $1.00 per square foot to over $100 per square foot. Don’t let the high prices make you nervous, though. There are so many options available you will find a tile within your budget. Here’s what I do when shopping for tile—I first decide how much I’d like to spend per square foot, then look at all my options within my budget. Keep yourself focused on your design and not what tile you wish you could have. There’s no doubt that the designer brand tile runs at an especially high premium. In some cases you can include some custom tile designs within your scheme without breaking the bank. In kitchen backsplashes you can design inlay accents above the oven for a classic and luxurious look. Which leads me to my next subject… Kitchens! The perfect backsplash tile can pull an entire room together. Barry Wooley Designs has yet to design for that client that wants aqua/red/pink cabinets. So if you’re out there—contact us for a consultation! Regarding a more personal design decision, I’ve been looking for the perfect powder room tile. I am very into tiling the floor, obviously, and running the same tile up the commode wall. I personally think it’s a wonderful idea especially when cleaning! Let’s not forget, there are so many types of tile out there and many are used in specific application. Long story short—Do your research. Ask questions. Always have your tile installer review your selections before purchasing! Good luck out there! !